Coyote Jack mines the fertile field of American roots-derived music that includes country- and folk-rock, rock, blues, and punk. 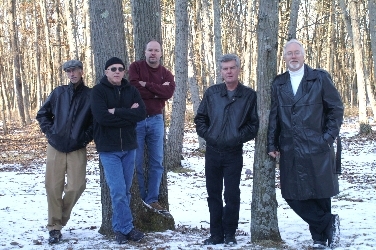 The band blends the best of these influences in original songs with universal themes: the joys and pains of love (The Best of You), favorite junker cars from our youth (One Bad Chevrolet), landmark events that defined generations (1961), and the plain and simple joys of partying (Love Is Love). The band can deliver hard-driving classic barroom music with relentless bass, drums and scorching guitar, then offer equally authentic softer sounds that spotlight chiming piano and sensitive vocals. Come on out and hear us; we'd love to play for you.